You’ve been hearing it for years – “make sure to visit Dr. Miller twice a year for your regular cleanings.” Just in case you’ve ever wondered why regular dental cleanings are so important, we at Discovery Dental would like to take this opportunity to let Shelby residents in on some information you don’t often hear. Let this article serve as your personal guide to the benefits of getting your teeth cleaned. If you have any questions or find that you are suddenly inspired to visit Dr. Miller for a cleaning, feel free to give us a call! Unfortunately, some folks in Shelby believe that visiting the dentist is unnecessary if you brush and floss regularly. That just isn’t the case. In addition to keeping your teeth clean and healthy, regular visits to our expert hygienists at Discovery Dental ensure that we can have a good look at your pearly whites and make sure nothing is wrong. If you don’t come in for cleanings, you’ll only need more expensive work later in life. We’ve all heard of plaque, but what about tartar? And no, not like the sauce. Tartar is the grown-up version of plaque. In other words, plaque becomes harder as it builds up and eventually turns into tartar. It is difficult for the average Shelby resident to remove on their own, but dental cleanings can give you tartar-free teeth! Gum disease is the leading cause of tooth loss. When plaque and tartar build up on teeth, they begin irritating gums and cause an infection that actually separates gums from teeth. Left unchecked, gum disease can be a serious, damaging, and painful condition. However, regular cleanings help keep gum disease at bay and give Dr. Miller a chance to treat problems before they become serious. Drinking tea, coffee, and using tobacco are just a few habits that can stain your teeth. However, our hygienists at Discovery Dental can remove many of these stains during the course of a simple cleaning. On top of that, every cleaning ends with a polishing that will leave you with a whiter, healthier smile. If you have dental insurance, but don’t visit Dr. Miller for your regular cleanings, you are missing out on your benefits! 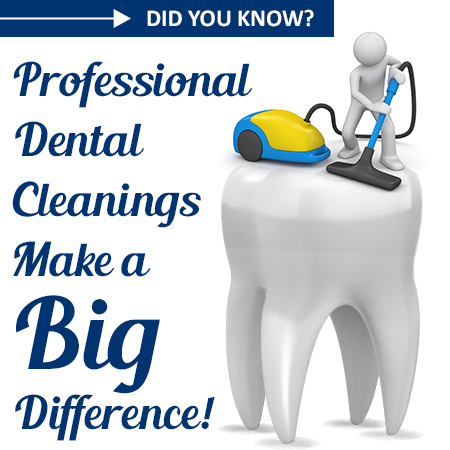 Almost all dental insurance providers allow for two cleanings per year, free of charge. There’s no reason to let your insurance go to waste. Now you know why it’s so important to have your teeth cleaned. Give Discovery Dental a call if you have any questions or would like to schedule an appointment.